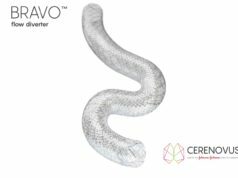 Acandis has announced that it has received European CE mark approval for its ACCERO stent, which is now available for sale in Europe. 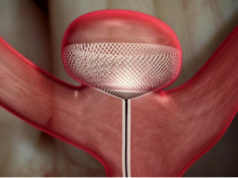 The ACCERO stent is intended for use with embolisation materials in the treatment of intracranial aneurysms. ACCERO, the new self-expanding braided stent from Acandis is characterised by an excellent opening behaviour, superior wall apposition and a very smooth implant surface. “Our engineers designed a dedicated radial resistive force of the stent to ensure reliable coil retention. In addition, ACCERO offers ease-of-use and an improved radiopacity concept; the platinum-nitinol composite wire allows the visibility of the entire contour of the stent.” said Andreas Schuessler, CEO of Acandis. The ACCERO can be delivered through 0.0165–0.0170“ microcatheters and double lumen balloon guide catheters and can be re-sheated more than 95% of its length. The Acandis proprietary BlueXide surface finishing aims to optimise haemocompatibility and facilitates stent delivery by using a corrosion-protective BlueXide surface, ensuring an extremely low nickel ion release. Furthermore, high oxygen and nitrogen intensities of the protective titanium oxide/oxynitride film will work to reduce platelet adhesion, favouring endothelialisation as opposed to native oxide; ultimately aiming to improved vessel healing.